‘Fatigue’ as most of us understand the term means, tiredness. But do you know what the two most important medical reasons are for feeling daytime fatigue? While the first cause is insomnia, the second is sleep apnea. However, before we elaborate further on the association between sleep apnea and fatigue, we need to get certain basic understanding clear about two closely related, but not quite the same, types of “tiredness’. The first one is called fatigue, a condition that affects the mind or body, or both and which most patients find it tough to describe when seeking treatment. The second closely associated condition is called chronic fatigue syndrome, which most physicians find tough to diagnose and treat. This is a condition marked by reduced desire to work and diminished capacity to fulfill a task. This is usually along with an overwhelming feeling of exhaustion and listlessness. It is important to understand that fatigue is not a health condition by itself – instead it is a symptom of another ailment affecting the mind, body, or both. 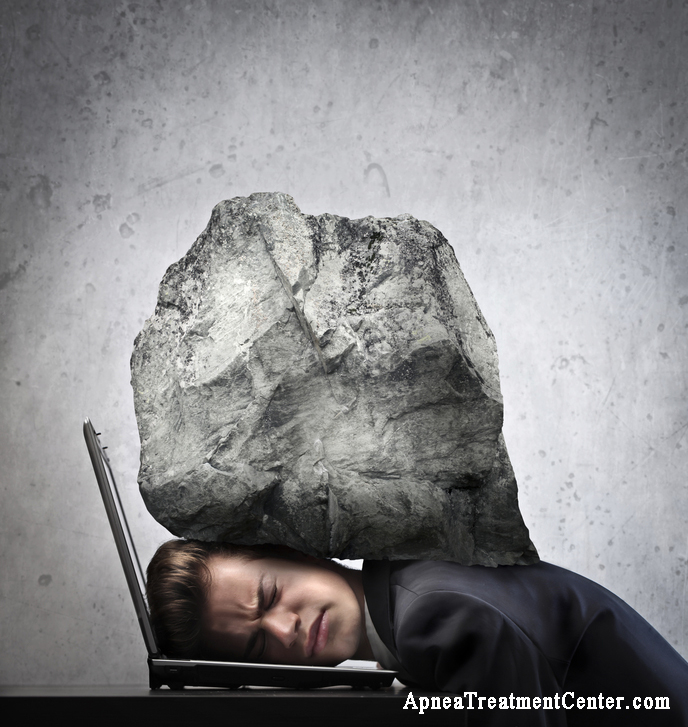 Fatigue could happen suddenly (acute) or it may last a long time and become chronic. Most people who experience such feelings find it difficult to explain and usually end up by simply saying that they are feeling ‘tired’. About one-third of the cases, fatigue go undiagnosed and the underlying cause never probed. There are plenty of causes why fatigue symptoms show up including underlying health conditions like diabetes, sleep problems (sleep apnea, insomnia, narcolepsy or restless legs syndrome), anemia, thyroid malfunctioning and more. In short, any ailment that results in insufficient blood in the body, metabolic disorders, infections, and ailments that are inflammatory in nature and of course sleep disorders. It is also important to note that even when fatigue persists for a long time, it cannot be termed as Chronic Fatigue Syndrome (CFS). There are specific criteria for diagnosing CFS, which need to be met for the condition to be called so. 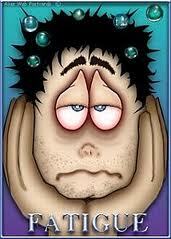 This is a complicated and di sabling disorder which manifests as deep and persistent fatigue. This type of fatigue does not improve with rest and further deteriorates when the patient undertakes any mental or physical activity. The typical symptoms do not allow the patient to participate in any normal day-to-day activity and include painful muscles, failing memory, focusing problems, sleeplessness, etc. There are no lab tests to identify CFS and researchers are yet to find plausible causes behind the onset of this disorder. Because CFS symptoms overlap with so many types of other illnesses, doctors usually perform tests to screen the patient for these concealed conditions. Sleep apnea is one such sleep disorder which can cause Chronic Fatigue Syndrome, which means that sleep apnea and chronic fatigue syndrome is a possibility. The other sleep problems include restless legs syndrome and insomnia. Persistent fatigue for 6 months or more and is not caused by current exertion or other medical conditions linked to fatigue. Such medical conditions have to be eliminated before the doctor can confirm the condition as CFS. Fatigue disrupts the patients’ normal daily life significantly. – While CFS may set in at any age, the most likely between 40 and 50. – Prevalence of CFS is more in women than men but it could also be due to the fact that the symptoms are reported more by women. – Obesity is a frequently associated with high risks. Most of the patients who complain of fatigue or have been diagnosed as suffering from CFS usually have other problems related to sleep interruption or deprivation. Continuous lack of adequate amount of restful sleep usually worsens symptoms like fatigue, forgetfulness, joint pain, etc. Sleep apnea patients often complain of fatigue, but fatigue can also be an important indicator of depression. One study showed that it is depression rather than the severity of sleep apnea that are responsible for causing fatigue in apnea patients Therefore, the researchers concluded that diagnosing and treating the depressive symptoms might significantly reduce fatigue when associated with sleep apnea. The other common complaint associated with sleep apnea is daytime sleepiness. While there are sufficient tools to diagnose and measure daytime lethargy, fatigue, is a condition that is not understood properly, though highly prevalent in apnea patients. Fatigue hems in many factors linked to the mind as well as the body. However, understanding this self-reported condition often borders around concepts like reduced energy, tiredness, problems with concentration, lack of physical stamina, etc. This makes cases of sleep apnea and fatigue a challenge to treat. While there ar e several procedural steps which need to be taken by doctors to properly identify the underlying medical condition (if any) causing fatigue or CFS, the job of giving them the right direction ultimately depends on the patient. Unless you are specific about what you are experiencing, chances are that one of the two conditions will be treated while the other remains undiagnosed. For example, management of sleep apnea should get the first priority when treating fatigue. For this, if you are consulting the doctor for curing fatigue, you also need to narrate the other symptoms which you are experiencing which may indicate sleep apnea. These include restless sleep, choking and gasping during sleep, unexplained weight gain, sleep interruption by cessation of breathing etc. 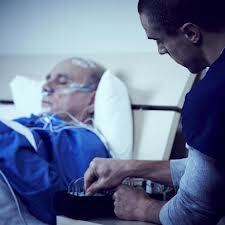 c) Sleep study is conducted that confirms the severity of sleep apnea. 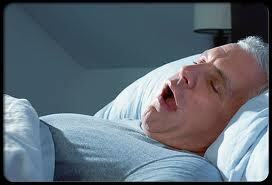 d) Treatment of sleep apnea begins which will automatically impact fatigue positively. e) Patients with both these conditions should practice good sleep hygiene. According to many experts, the most disruptive symptom ought to be attended first. Treatment of CFS must begin only after the patient has been screened (diagnosed and excluded) for all possible underlying conditions. The only way to determine whether a CFS patient also has simultaneous sleep apnea is with the help of polysomnography or overnight sleep study. What is the likelihood of sleep apnea to be present in patients with CFS? Only some researchers have found t he co-existence of sleep apnea and chronic fatigue syndrome. In one such study of the 72 subjects diagnosed with CFS only 10 had sleep disorders like sleep apnea, etc. In another study involving 32 patients, only 10 had apnea symptoms. 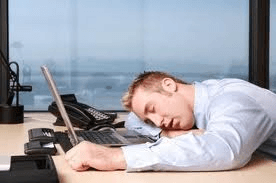 An important point to note here is that many apnea patients experiencing excessive daytime sleepiness either are not aware of what it is or do not realize their seriousness and/or implications. They may instead talk more about fatigue, feeling of tiredness, etc which can often be misleading in terms of diagnosing the true illness. Thus it is imperative that the sleep history of patients complaining of CFS symptoms be studied and if there is even a remote suspicion that the patient could be having sleep apnea, a sleep test should be done immediately. It has also been observed that most apnea patients do not use the term ‘excessive sleepiness’ while narrating their symptoms. Instead, they use the term ‘fatigue’ more. This finding was published in the journal Chest (August 2011 issue). But researchers say that if patients who were in essence ‘fatigued’ and not feeling sleepy, a sleep test can quickly reveal the onset of sleep apnea and proper treatment can be initiated. 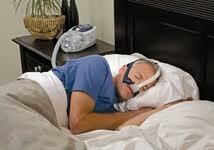 The efficacy of CPAP i n relieving fatigue in apnea patients has been praised by several researchers. In one study, which was published in Sleep (January 1, 2011), it was revealed that using this therapy only for a few weeks resulted in dramatic improvement of fatigue symptoms. Even the energy levels increased, the results showed. In this study, fatigue score of 8.8 (in a scale of 0 to 10 where 10 defined highest levels of fatigue) reduced to 0.1 after CPAP therapy. In another study, results after 3 weeks of use of CPAP therapy showed significant reduction of fatigue, daytime sleepiness and improved energy levels. As most medical experts ag ree, treating the primary sleep disorder that is hidden beneath the outward symptoms of fatigue should be treated first. Over and above the conventional CPAP therapy, considered to be most effective, there are other treatment options also available. These include special sleep apnea exercise for toning and strengthening the throat muscles, altering sleeping posture, using sleep apnea pillows to correctly align the head, spine and shoulders, and finally using sleep apnea dental devices, all of which primarily keep the airway open during sleep. It has been proved beyond doubt that sleep apnea and fatigue is a common co-existence and that fatigue is an inevitable outcome of this primary sleep disorder. It is also clear that diagnosing the underlying health condition is often overlooked. This happens primarily because doctors mostly go by what the patients report. Thus if you are suffering from fatigue that may or may not be persistent, it is your responsibility to understand and report any symptom that may indicate sleep apnea, to your doctor. Only then can treatment take a new and meaningful direction.